Did you ever want to know what it was like to run a bed and breakfast, and have unique guests? 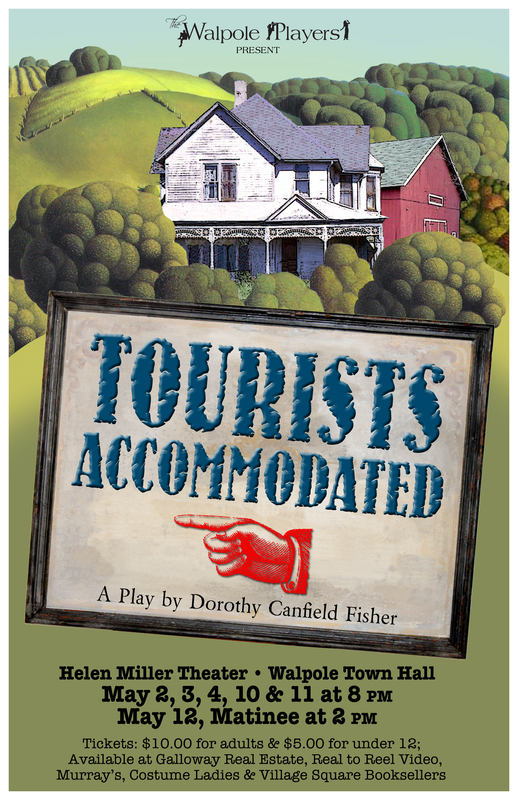 The Walpole Players will show you at 8PM on Thursday May 2nd, Friday May 3rd and 10th, Saturday May 4th, and 11th and at a 2PM matinee on Sunday the 12th of May when the curtain rises on TOURISTS ACCOMMODATED at the Helen Miller Theater at the Walpole Town Hall. This is a gentle comedy in which we find a Vermont family taking in summer tourists in the early 1930s to raise money to send their daughter to teaching college. Wryly drawn from observing the “ways of travelers” and the “absurdities of city life” you will meet a host of characters familiar to us all when eight completely different groups of tourists stay with the Lyman family at their Vermont farmstead. Written by Dorothy Canfield Fisher, it was on a cold January day in 1930 that Dorothy and her friends in Arlington, Vermont, were sewing a baby outfit for a neighbor and talking and laughing a great deal. Several of the families had in recent years begun taking in summer automobile tourists, who were finding their way north, providing them with beds for the night and meals. This was a new and strange experience for these strong minded New England mountain folk, and the women soon started sharing stories about the strange ways of these travelers. One funny story followed another with each hilarious incident being true. Finally one of the group said, “We ought to make a play out of all this.” Dorothy, a best-selling author who was also named by Eleanor Roosevelt as one of the ten most influential women in America for her work in bringing the Montessori School movement to the US, took up the challenge. This seldom seen side-tickling play was the result. 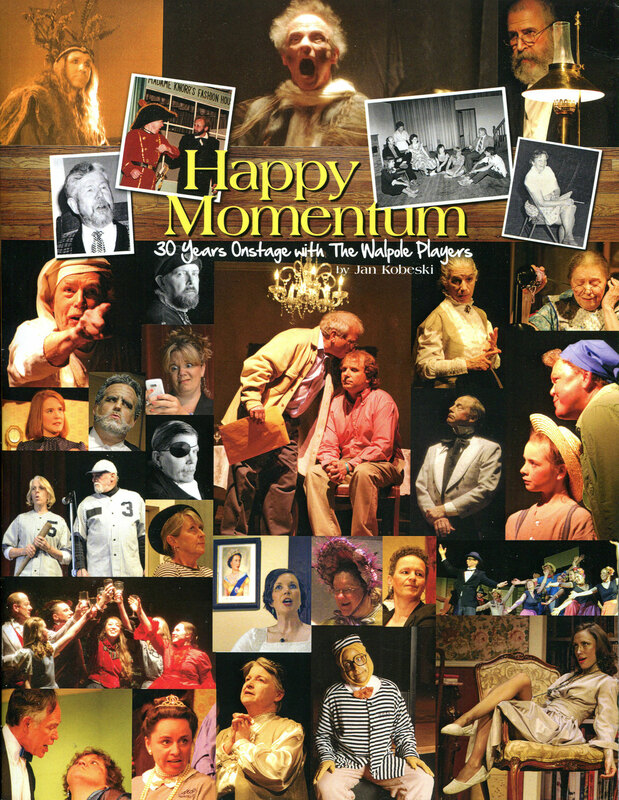 Directed by Ray Boas, the cast includes: Jean Jobeski; Whit Aldrich; Gail Golec; Carolyn Norback; Fran Kemp; Dave Adams; Tom Durnford; Joan Balla, Sarah Manning; Kathy Reilly; Jim Baucom; Laurel Perron; Tara Sad; Stacey Allen; Deb Robarge; Becky Pearson; Mike Delaney; Gail Connelly; Anna Kendall; and, Cameron Tollett. A number of the Walpole Junior Players are also featured: Maeve Perron; Ben Robison; Kaylie Litner; Anya Bierweiler-Franks; Sophia Bruzgis; Madeleine Manning; Kathleen Dole; Isabella Smith, Patrick Manning; and, Holden Perron. Tickets, which are $10 for adults and $5 for under 12, are available at Galloway Real Estate; Real to Reel; Murray’s and Costume Ladies in Walpole; and at Village Square Booksellers in Bellows Falls.